The sleep function in Windows 10 is useful. It’ll save you money on your electricity bill 5 Smart Hacks To Save Electricity In Your Smart Home 5 Smart Hacks To Save Electricity In Your Smart Home he trick to saving electricity is in knowing where most of your energy is consumed. Read More , help extend the life of your screen and hard drive, and prevent you from accidentally leaving your machine running for hours if you get distracted. That said, it can also be annoying. I’m sure there have been occasions when you wish your computer hadn’t gone to sleep — perhaps you were downloading a large file or performing system maintenance How to Disable Windows Automatic Maintenance and What to Do Instead How to Disable Windows Automatic Maintenance and What to Do Instead Automatic Maintenance is a default Windows feature that isn't without flaws. I'll show you how to disable Automatic Maintenance in Windows 10 and how to manage the processes yourself. Read More tasks. Before getting into the nitty gritty, let’s take a moment to understand what sleep mode is, which is often confused with hibernation mode. Unlike hibernation mode, sleep mode will continue to draw a minimal amount of power. When it activates, all processes on the computer are effectively paused. Windows will store anything you have open in RAM. A press of any key will let you get back to your work in a matter of seconds. Hibernation mode is largely the same, but anything you have open will temporarily be stored on the hard drive, and it uses no power. As such, it takes longer to resume working when waking your computer up again. Open the Start menu and go to the Settings app. Select Power and Sleep in the left-hand column. Scroll down to the Sleep section. Set the drop-down menu under When plugged in, PC goes to sleep after to Never. You can also change On battery power, PC goes to sleep after to Never, but it’s not recommended. Do you use sleep mode? Or do you prefer Hibernation? Let us know in the comments below. 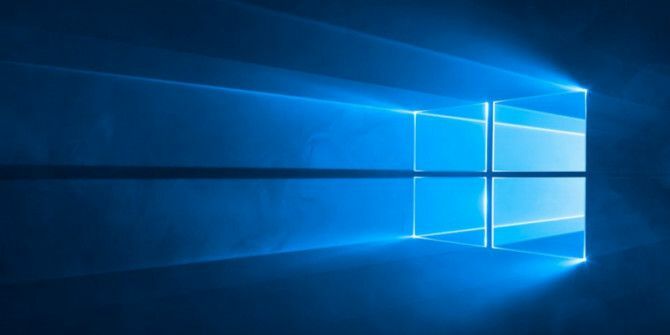 Explore more about: Sleep Mode, Windows 10, Windows Tricks.